In 1833, two university students from Giessen, Germany, Friedrich Muench and Paul Follenius, decided to immigrate to America and settle in the west. They wanted to create a German utopia in Missouri, and they recruited others to join them by distributing throughout Germany a promotional pamphlet detailing their ambitious plans. The resulting participants spanned various religions, cities, and villages and called themselves the Giessen Emigration Society. By July of 1934, each member had settled along the Missouri River, forming a vibrant German segment of the state whose cultural footprint can still be seen and felt today. In the bilingual book Utopia, this story is brought to life through more than two hundred historic photographs and documents and contributions from both Americans and Germans. The book accompanies a traveling exhibit that will begin in Germany and travel to the German-American Heritage Museum in Washington, DC, and then land in St. Louis at the Missouri History Museum, following the path of the Germans who immigrated to America so many years ago. 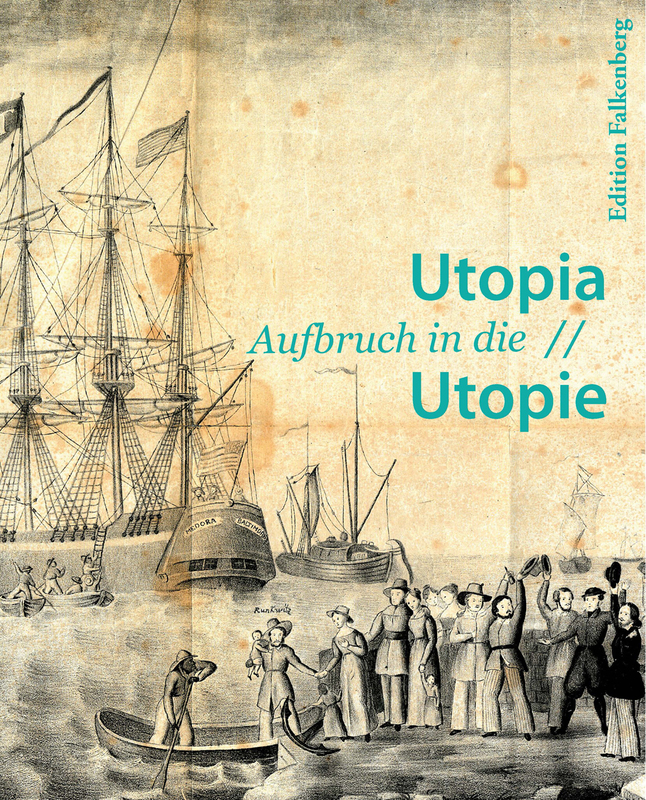 Utopia serves as both an exhibition catalog and as a historical narrative of the Giessen Emigration Society. The Giessen Emigration Society – Success or Failure?